John Deere introduces its new 5R Series Tractors that leverage existing technologies normally found in large tractors, to provide customers with unrivaled maneuverability, an easy-to-use transmission, increased visibility, loader integration, and operator comfort. 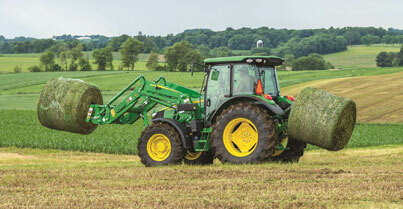 John Deere introduces its new 5R Series Tractors that can be equipped with the new 540R Loader. A 7.4-foot wheelbase paired with a 60-degree steering angle, provides a tight turning radius of 12.1 feet. Customers working in confined areas such as barns, will be able to easily maneuver in tight areas increasing their productivity. Shifting is virtually effortless with two fully electronic transmission options, CommandQuadTM Manual and Command8TM. Using a multi-range selection, the operator can toggle from B range through D range without stopping. “Base equipment also includes AutoClutchTM, leveraged from our larger row-crop tractors. That means no clutching is necessary, ever. Step on the brake and the clutch automatically disengages,” says Chris Lammie, global product line planner for John Deere. Upward visibility has been improved 80 percent through the Premium Panorama cab roof, compared to a John Deere 5M Tractor with the Premium Cab. Forward visibility is 7 percent better thanks to single-piece front windshield, making it ideal for loader applications. Six halogen work lights (two front, two rear, and two side) are included as standard equipment to shine brightly and improve visibility in low-light conditions. For maximum illumination, owners can choose to replace the halogen lights with optional factory- or field-installed LED lights. An interactive display located in the right hand cornerpost, is placed out of the line of sight from the operator. “Tractor operations can be customized by the operator to best fit their preferences,” says Lammie. 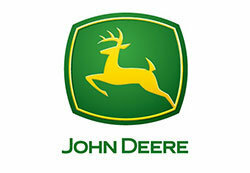 A high-back swivel seat features thicker cushions and wider armrests than those found on John Deere 5M Tractors. Options normally found in larger John Deere row-crop tractors also are now available for the 5R. New to the utility tractor lineup, optional cab suspension provides a more comfortable ride for long work days. New John Deere 5R Series Tractors are available with two fully electronic transmission options, CommandQuadTM Manual and Command8TM. Using a multi-range selection, the operator can toggle from B range through D range without stopping. The 5R can be equipped with the new John Deere 540R Loader. The loader’s automatic mast latch, single-point hydraulic connection, remote implement latch and slide-slung self-leveling links provide an integrated loader experience for the 5R Tractor operator. 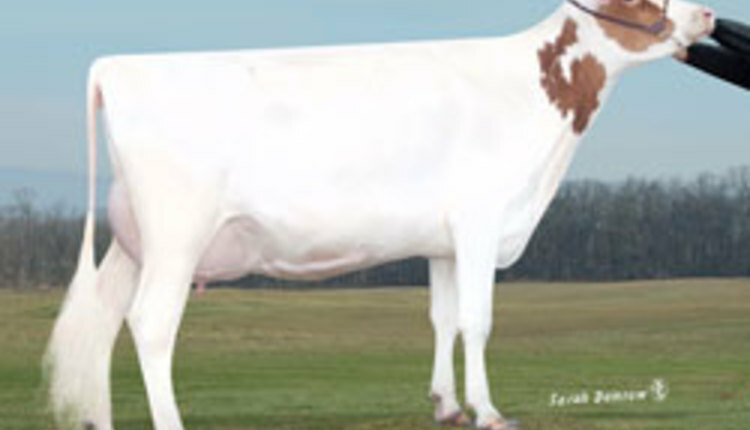 Removal or installation of the loader can be accomplished with a single trip out of the cab, thanks to a latch system that automatically connects the loader once contact is made between the loader boom and mounting frames, simplifying the connection process. To improve loader operation, a mechanical or electrohydraulic loader joystick option is integrated into the swivel seat. Gear-shift buttons and a joystick reverser are built into the loader joystick control. “Its simple one-handed operation lets you control loader, speed, and direction, all without letting go of the joystick,” Lammie says. 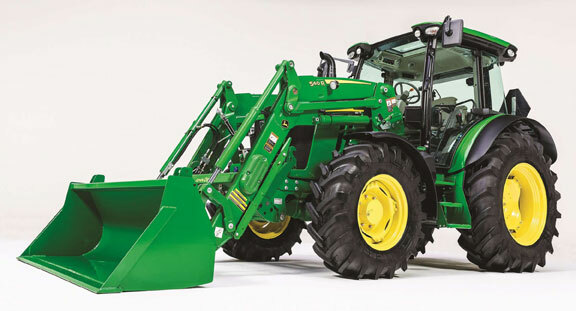 For more information about the 5R Tractor and 540R Loader, contact your local John Deere dealer or visit www.JohnDeere.com/ag.